Daniel Poncedeleon allowed three runs on five hits with a walk and four strikeouts over 3 1/3 innings against the Reds Saturday, taking the loss. 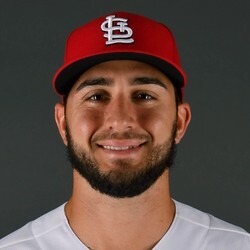 Poncedeleon had been much better in his previous starts, including seven scoreless against these same Reds back in July, so this was certainly disappointing. He's been good overall, but a lot of his work has come out of the bullpen so he's harder to trust as a starter given his struggles Saturday.